Eric McCormack Talks Returning to ‘Will & Grace 2.0’ or is it Season 9? 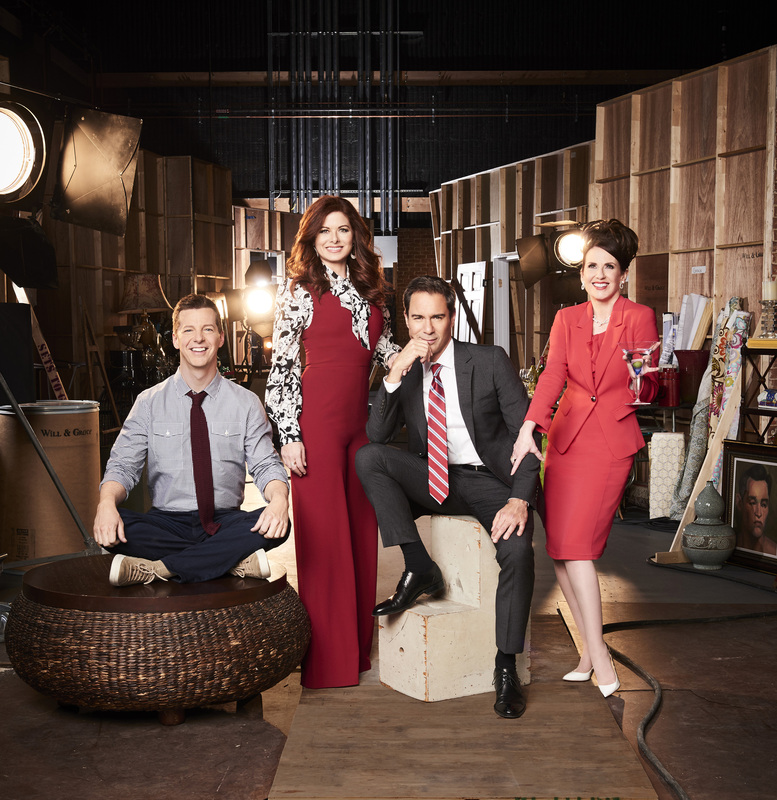 (l-r) Sean Hayes as Jack McFarland, Debra Messing as Grace Adler, Eric McCormack as Will Truman, Megan Mullally as Karen Walker in WILL & GRACE. ©NBCUniversal Media. CR: Andrew Eccles/NBC. HOLLYWOOD—It’s been more than a decade since the popular NBC comedy “Will & Grace” aired its final episode after an eight-season run. After that long hiatus, the unconventional duo and their friends, Karen and Jack, are back. The series returns Thursday, Sept. 28 at 9 p.m./8C. Eric McCormack spoke at the TV Critics about reprising his role as Will Truman, a gay lawyer who is best friends with Grace Adler (Debra Messing), an interior designer who happens to be straight. The series picks up with the best friends along with their pals (Sean Hayes and Megan Mullally reprising their roles of Jack and Karen, respectively). Even before the revived series aired, network executives decided to give it a second season, which delighted McCormack, who has been busy starring in other TV shows including “Perception” and “Travelers” as well as appearing in film and producing TV shows. McCormack: Yeah, that was some kind of a first read through, let me tell you. When it was announced that “Will & Grace’ was coming back, they couldn’t have announced it at a better time with what is going on with society right now, especially with transgender in the armed forces, this seems like a great time for “Will & Grace” to come back to mainstream television with new episodes. It’s timely for two very different ways. One, we’re a very great show to comment on a lot of things but, more than anything, people need to laugh. That’s the bigger issue now. We need to come in strong and give people a reason to actually show up to watch television, to watch at 9 p.m., so they can talk about the jokes. On Twitter they say, “Did you see that?” You don’t want to wait three weeks to watch this on your DVR. You want to watch it now, because it’s funny. Q: Whatever is old is new again and that certainly is the case here. Did you ever think you would revisit this dream in a lifetime? You did that 10-minute sketch last year where the cast urged Americans to vote for Democratic candidate Hillary Clinton. Did you know the series would get revived at that point? McCormack: No, absolutely not. When that opportunity came up, when Max (Mutchnick, the show’s creator) called us all up secretly, so top secret he didn’t even tell NBC, and said, “I have access to the set and I have an idea. It’s something we can do for Hillary (Clinton).” We were all onboard. We really thought that whatever effect, small or great, that it had would be the one and only time this would happen. It didn’t occur to me. Megan (Mullally) now says it definitely occurred to her, but it didn’t occur to me. I thought, “How could that possibly be? Who wants that?” Apparently, people want it. Q: You probably can’t reveal much about this season, but can you say if any of the characters have changed or grown in any way? McCormack: I hope not. I don’t know what we’d do with them if they’ve grown. Yes, they have changed. Max wanted Will to be as successful or more so. He’s matured into a man that’s made money and that’s lived a mature life and so has Grace. I’m not sure exactly how that’s going to transpire. She has people working for her now, not just Karen. She does well. I don’t think that’s going to make her any more mature. I think she’ll still be just as mature as Grace always was and I think it will be fun to watch Sean’s character, particularly, age, probably not so gracefully, into mid-aged gayness. Will is quite comfortable being a silver fox, but I think Jack will have a big problem with that. Q: Does it surprise you that people are still discovering the original “Will & Grace” series through syndication? McCormack: That’s the thing that amazes me. In my mind, it went away for a little while. We ended the show and went on our merry way. Then, it got picked up by WB, and suddenly they were running it more and more. I had young people coming up to me, 18-year-olds going, “You changed my life.” And I say, “What do you mean? You were four when it went off the air. What are you talking about?” It’s because, for them, it was their syndication show; it was their “Brady Bunch.” It was the one they would watch all weekend. That was amazing to me and I look at it now and I think it’s aged very well. I don’t feel like we have to apologize for what the show was in any way. We did it exactly how we did it back in September, and everybody said, “Great, that’s what we want.” It looks exactly like it looked. Q: How do you feel the original series redefined the family dynamic? Because, at its heart, it’s a family show, but it created a new type of family, a new archetype for a family. McCormack: That is one of those lessons that television, in general, but sitcoms in particular, keep teaching every decade. I mentioned “The Brady Bunch.” That shows the world two families getting married. The kids can be brother and sister even though, obviously, they were sleeping together off-camera. (He laughs.) With a show like ours, it led to things like “Modern Family,” where family is constantly redefined and that’s the healthiest thing we can do for our country right now—to continually remind everybody that everything, particularly family, comes in all shapes and sizes and new variations. Q: In the original series, you had a lot of recurring guest stars like Alec Baldwin. Sometimes, some of those big names take you out of it, but we built to that. By the time we had Elton John, Madonna, Britney Spears and Barry Manilow, the show had become a different thing and we can support it, but right now, I want to protect it. Q: What about the Rosario character? Will she be back? McCormack: The truth is that Shelley (Morrison) is retired. We talked to her as maybe as a cameo, but she’s done. Rosario won’t be back. It was simply because she doesn’t want to do it anymore. Q: Are you going to have Karen badmouthing her? McCormack: I saw a draft of the second episode that will deal with this. I’m not sure that’s what they’re going to stick with, but I’m not allowed to tell. Q: Do you feel this is an extension of the original series or did you feel like it’s kind of its own thing? Because you’re in a different year now and we’re using a different technology. What’s the same and what’s different? McCormack: Sean (Hayes) was just saying to me, “Are we supposed to call this Season 9 or “Will & Grace’ 2.0′?” We’re not 100 percent sure. The key about the show is that when people saw what we did in September, they said, “Yes, don’t mess with it.” It was what was the same that mattered. What was different was that we were older and we were talking about politics, but other than that, the show looked the same, it felt the same, the rhythms were the same. We’re not going to mess with that. We’re not going to reinvent that wheel. What’s different will be, we’ll discover along the way what jobs they have, but really, at its core, it will pretty much be Season 9 with a little 11-year hiatus. Q: It’s amazing that something defined your career will now redefine your career. Do you view it that way? McCormack: Yeah, and I can do it in a different way, because by the end of eight years, it doesn’t matter what character you’re playing, you’re afraid you’re going to get typecast and you’re not going to get other opportunities. Whether it’d be, “I’m never going to be in drama again or they’re not going to see me as a straight man.” But I’ve had opportunities now, I’ve done “Perception” for three years. I’m still doing “Travelers.” I just finished it days ago and I’m going back to it, so I know I can play Will, without any of that hanging over me. I can just enjoy it and know that I had my chance to go out and I come home again. 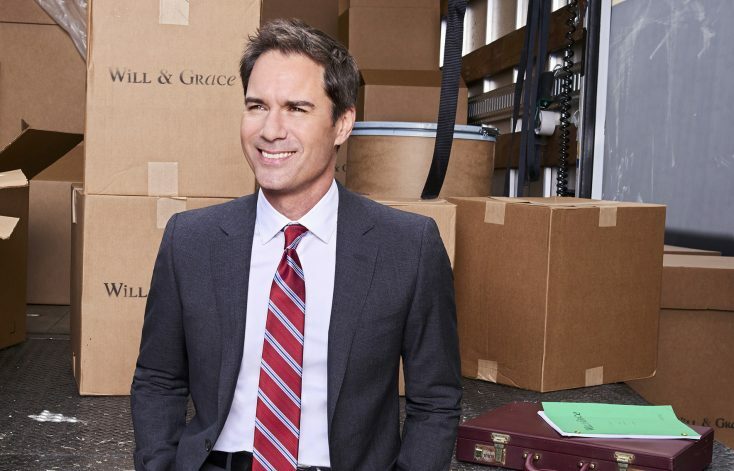 Next PostPhotos: Eric McCormack Talks Returning to ‘Will & Grace 2.0’ or is it Season 9?